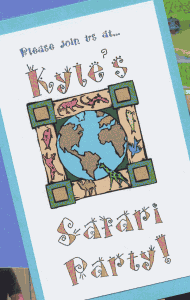 Great 4 Year Old Birthday Party Idea: A Safari Party! 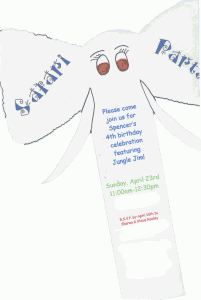 This is an invitation I created that is shaped like an elephant. To fit it into an envelope, I first folded the trunk accordion-style, and then folded the ears one over the other, on top of the trunk. 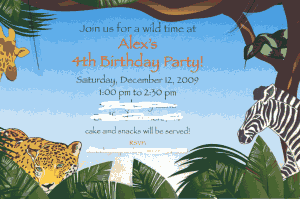 This is an invite that I ordered from Birthday in a Box….. When the guests arrived, we started them off with a small craft- in this case a foam door hanger that the guests could decorate with the animal stickers of their choosing. We also had a tattoo station for the kids, while they were waiting for Jungle Jim to set up his “show”. 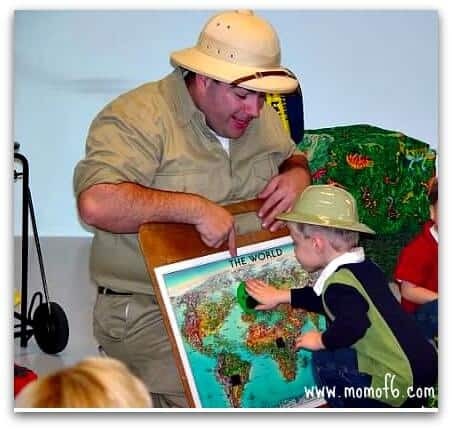 At some of our other Safari parties, we played a few games of freeze dancing (the kids dance while music plays, and when we pause the music- they have to freeze in position until the music begins again), and Simon Sez. 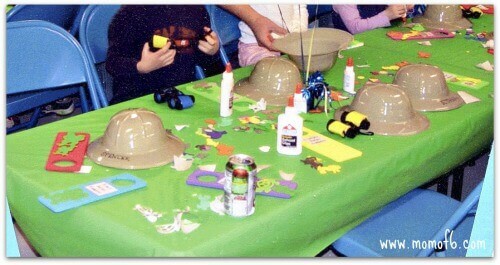 At some of our safari parties, we provided our guests with plastic safari hats and toy binoculars! 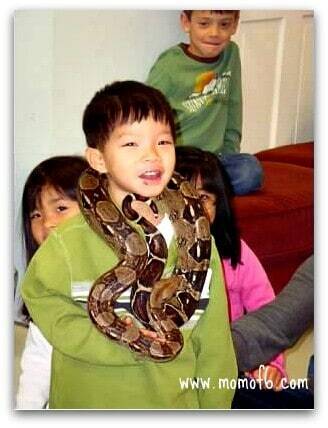 Jungle Jim in action….. His show lasts about an hour- and the time flies by for the kids! 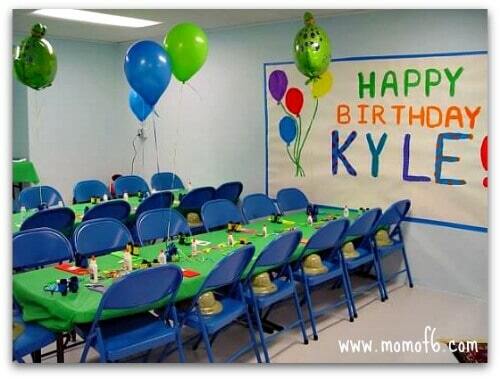 After he finishes up, we have all of the guests line up to receive a nice dollop of Purell to sanitize their hands before eating. Then we serve lunch (usually pizza) for the kids. 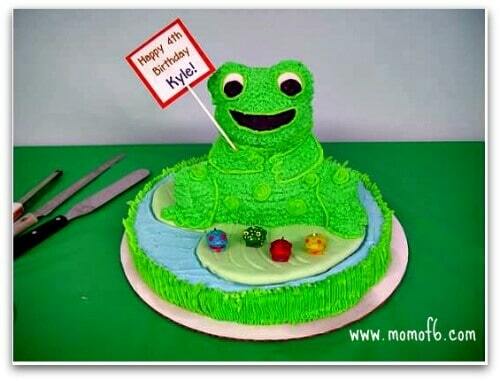 Some of the cakes that I have made for our Safari parties…..
We are big on frogs around here…. 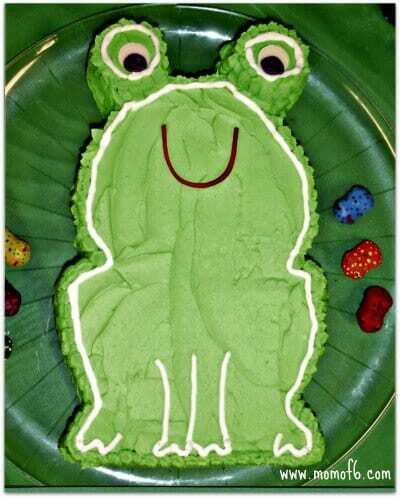 so this is another version of a frog cake! 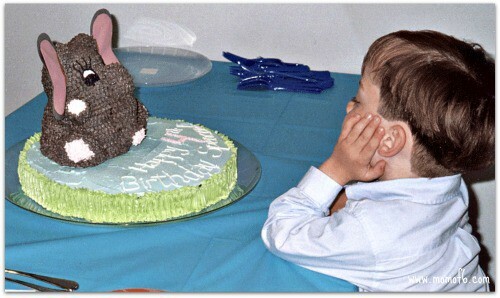 To wrap up the party, we gather all of the guests to play our “eat a gummy worm dangling from a string without using your hands” game, and then we invite everyone to head outdoors to go on a treasure hunt for their goodie bags. 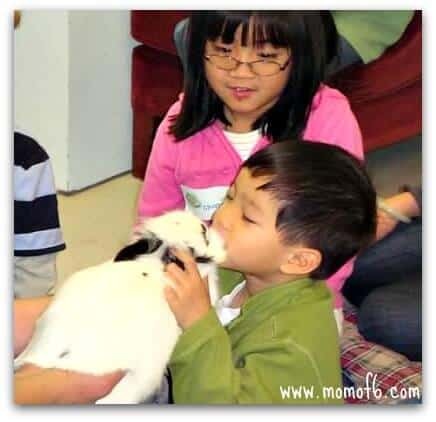 Our favorite goodie bag for a Safari party is a small stuffed animal- and I try to find ones that match the animals that Jungle Jim brings to our parties- so I have given out little bunnies, guinea pigs, hedgehogs, lizards, and even a chinchilla. I look for them online and try to keep the cost under $3 each- but I look for something of a good quality (like a Beanie Baby or a Gund) so it is something that recipient can keep for a long time. 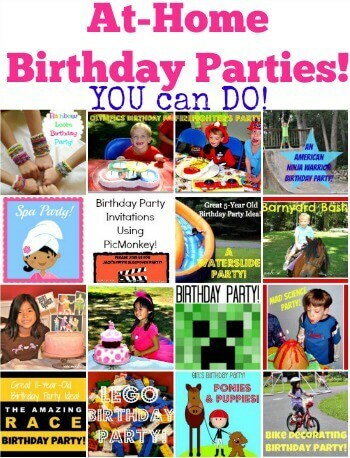 At Home Birthday Parties YOU Can DO! 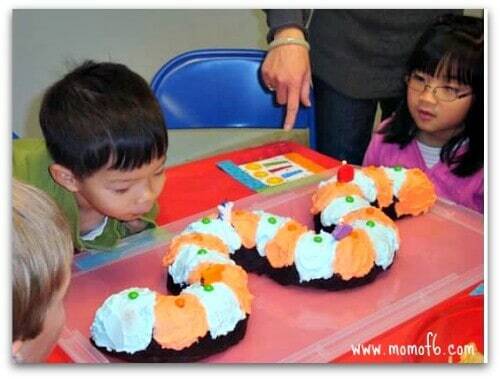 So do you think your child would LOVE a Science-themed party? Please leave a comment below and share! 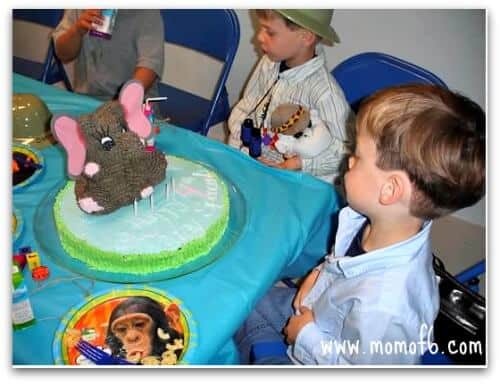 And to stay up to date on the latest tips and ideas from Momof6, please Like the Momof6 Facebook page!